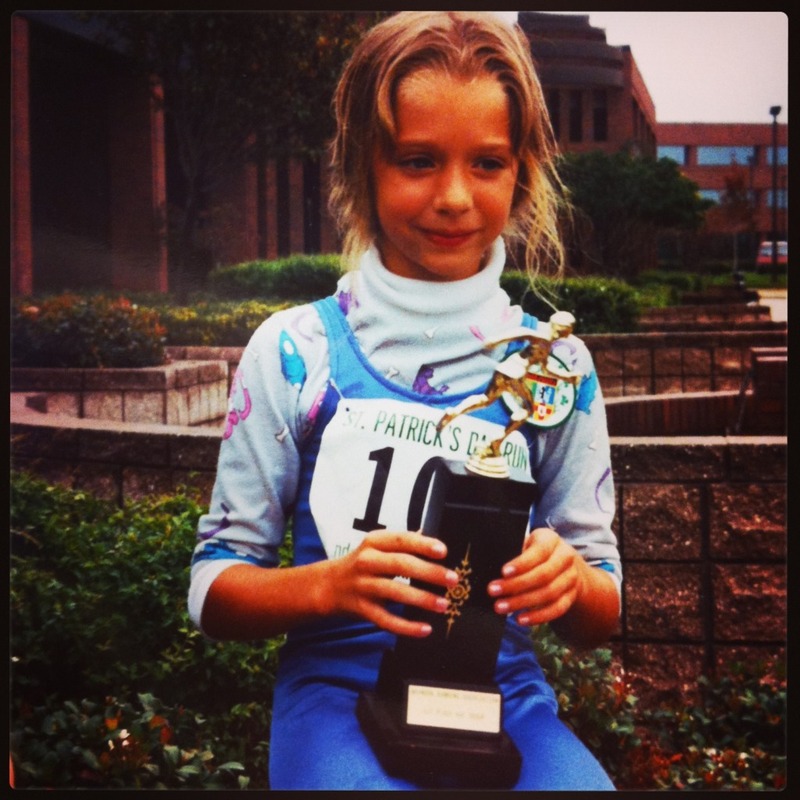 This was my very first race ever! I remember it was raining and that it was an out and back course in a corporate park. And we're off!! 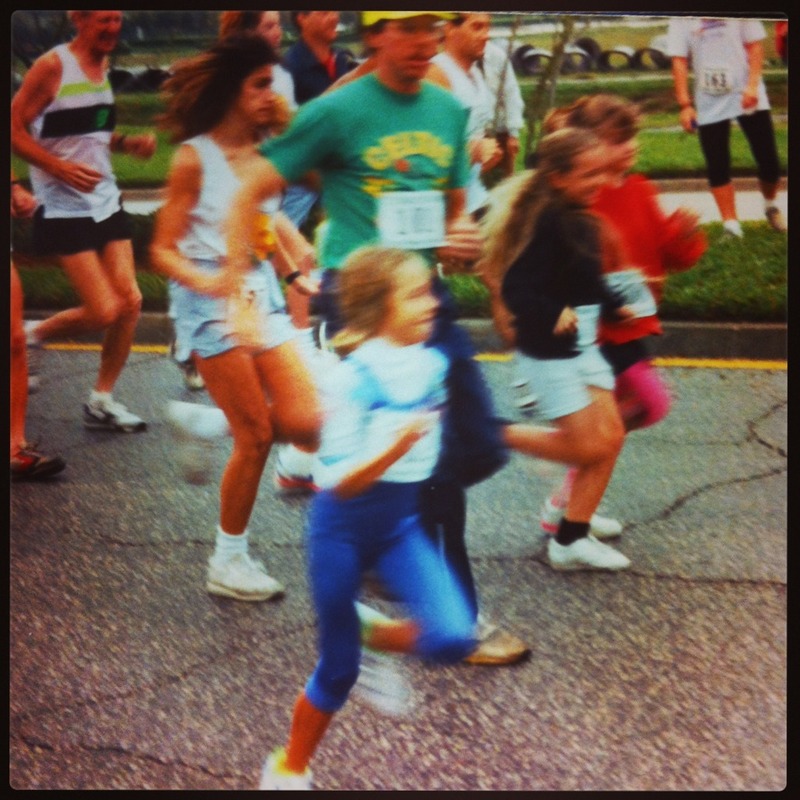 My Daad (green shirt) and I flying by! Daad and I post race, with my first Age Group win ever. 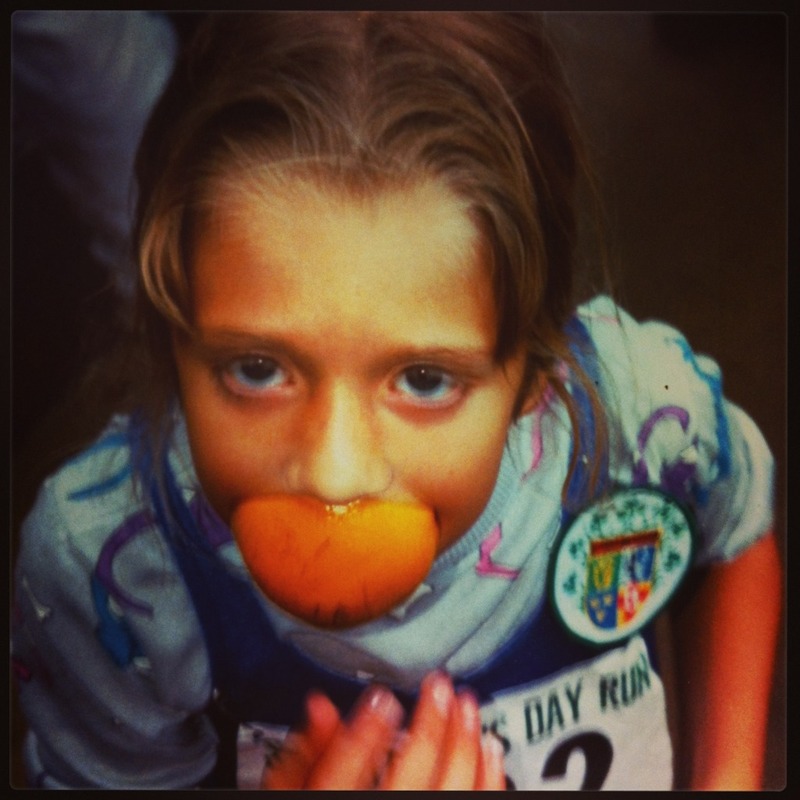 Being silly at races since the very beginning. This will be the first of hopefully many "throwback" reports. This is the cutest thing ever! How adorable to have so many photos from your first race. My first race was on a cross country course and I took out the first mile way too fast. I can't remember if the race was 3 or 4 miles but I definitely came in closer to the end and didn't win any awards. I think I was in 5th or 6th grade. I don't have any photos from the event since I ran it with my cousins and no one from my immediate family was there. Love it and I can't believe you have that many photos from the day! 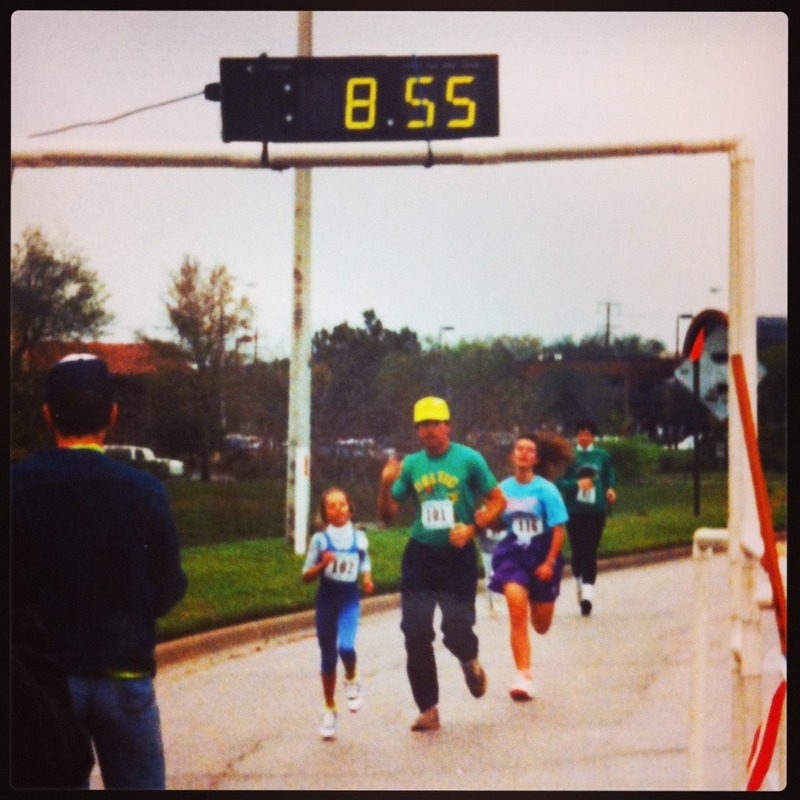 I remember a 5k in pre-running days but not sure if I did anything as a kid or not? Probably not! Oh my gosh, this is too damn cute. I love the pics! And your outfit! Ahh!!! Hmm, I remember doing trike races as a kid, but no running races. I cannot remember which was my first! Hope your holiday was relaxing and that Santa was generous! but more than that I love that outfit your are running in! so cute and what a great memory to have! Awww! That's so awesome! I was on the cross country team in junior high, but I have no recollection of my pace, or even what distance we ran (1.5mi, I think?) 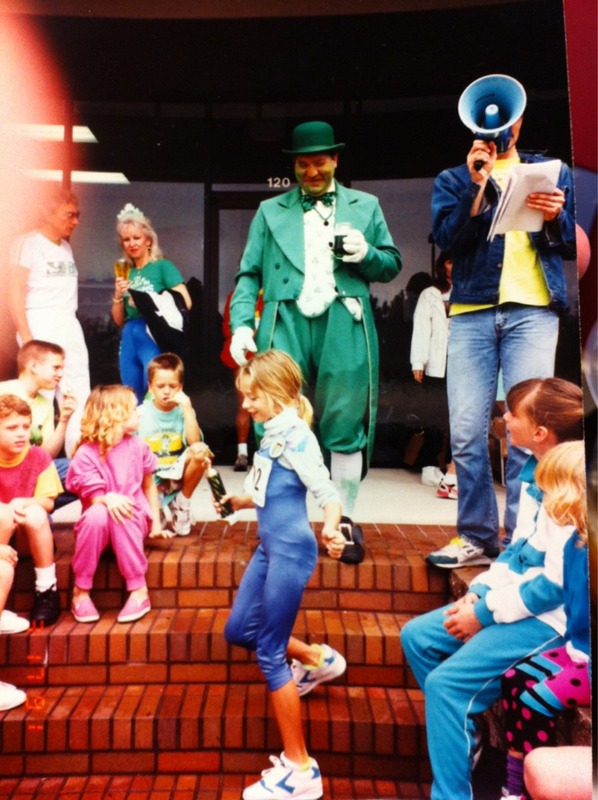 I have one picture that my parents took ... and I'm running in fake converse hi-tops!! And my gym uniform, since those doubled as team uniforms in junior high. Um, when are you posting this photo on your blog?? Oh my gosh, you are adorable! You were born to run, girl! haha amazing you have pics from this! Maybe it's just perception, were your shoes really big? Cool stuff! This is so cute! Love it. I think my first running race has to be high school when I joined cross country. Nothing was cute about the shorts we had to wear:). 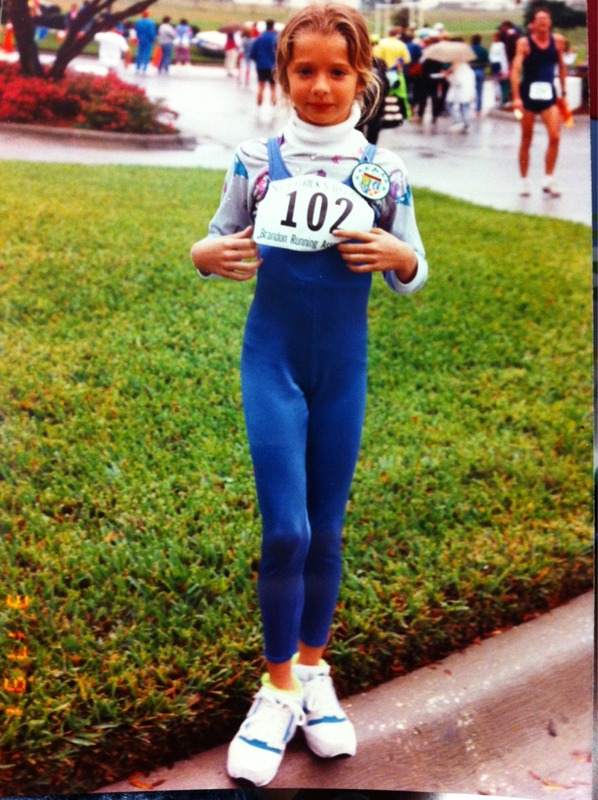 Wow, very cool that you still have lots of photos of your first race. You were already a blogger at heart, even though blogs had not been invented yet! That trophy is huge! Nice job in getting the sub 9:00! 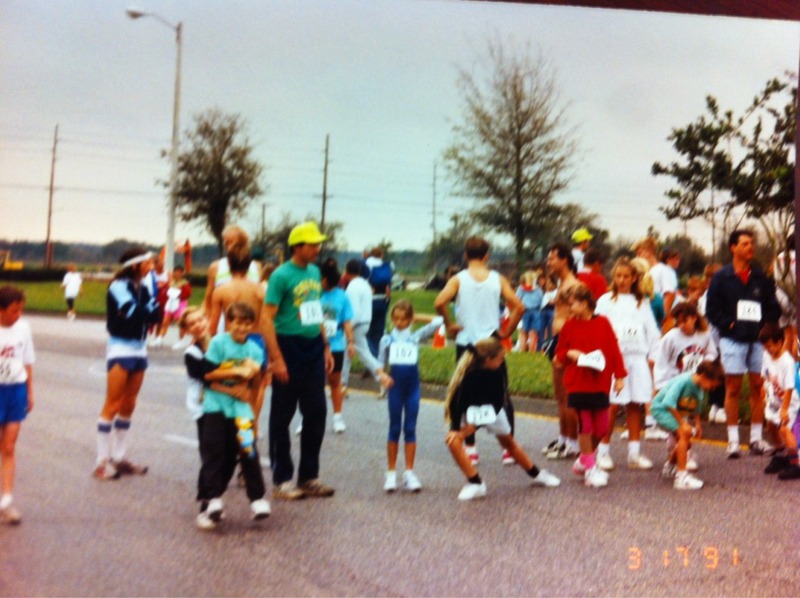 Sadly, I can't even remember what my first race was, let alone have pictures from it. 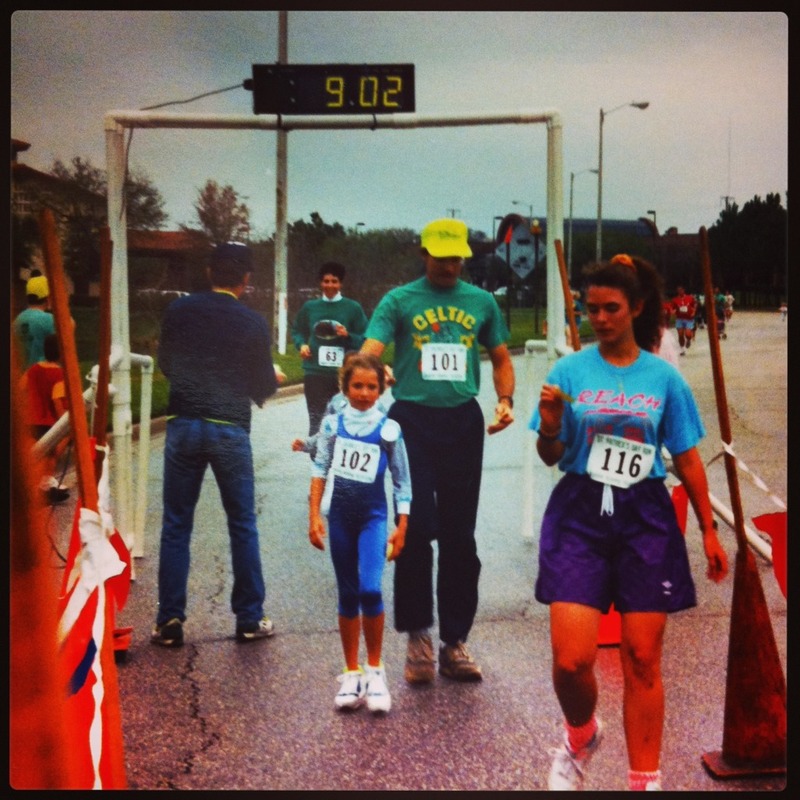 I ran my first race when I was in my early 20s! 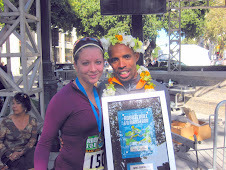 I just stumbled across your blog and this is the best race recap ever! 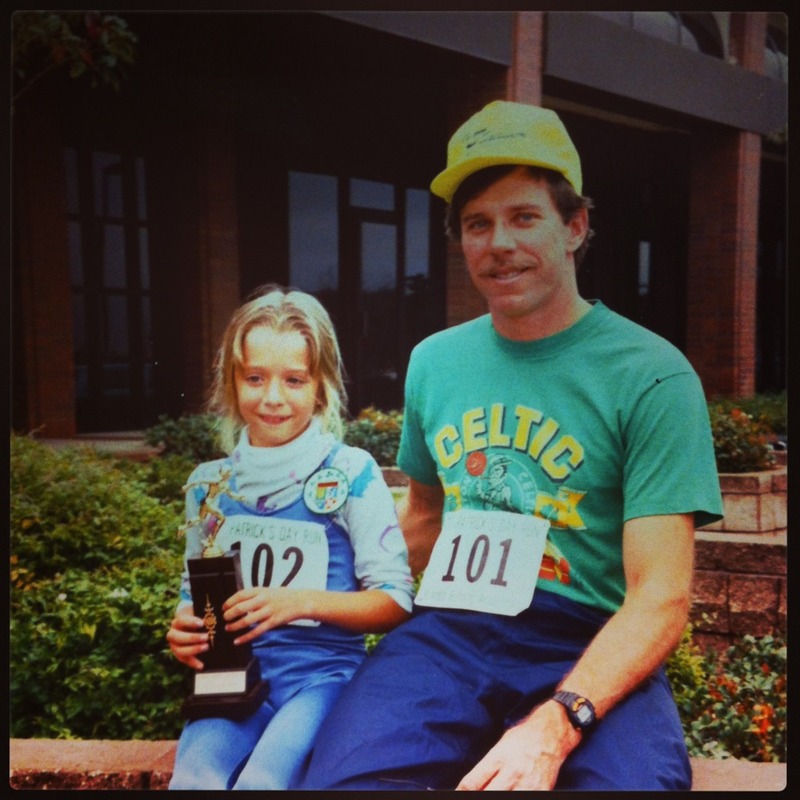 I love that you ran if with your dad- such a great memory! Cold, Wind and Waves... OH MY!